If you're giving the need or sin talk at club, check out this video that Madison Wall created. 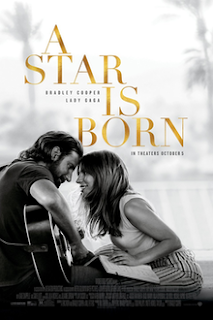 The first part of the video is song lyrics from the new song, "Shallow" by Bradley Cooper and Lady Gaga. It's part of the soundtrack of their new movie, "A Star is Born." I haven't seen the movie and am not endorsing it, but the lyrics of the song are PERFECT for a need talk! In the second part of the video, Madison took a screen recording of Google searches and laid it over the song. It's powerful with the music. If you wanted to go the extra mile, you could personalize it and create your own screen recording of searches that are even more relevant to your specific friends you'll be speaking to. You may even consider singing it as a club song. You could have the guys sing Bradley Cooper's part and the gals sing Lady Gaga's. If you have a decent guitar player, here is a good chord sheet: "Shallow" guitar chords. If not, here's the Karaoke instrumental version you could play over the speakers. It was super easy to make slides using the Lyrical Slides add-on that Dan Kramp made for Young Life leaders. If you're not using it yet, check it out here. You can download slides for "Shallow" below. Younglife Need Talk Song and Questions from Madison Wall on Vimeo. Thanks for putting this video together, Madison! If you have helpful resources to share, email us at YL1941 at gmail dot com. If you're looking for Christmas gifts for leaders, committee members, or parents of teenagers, check out Alongside: Loving Teenagers with the Gospel.